Mr. Dobi says that "we work closely with a cedar mill to rescue small pieces of wood and engineer them into larger panels to build the CedarCraft line of garden planters. Our customers are the big box retail stores and they are known for short leads times, lots of changes, and for being pretty demanding. Recently we were confronted with the need for a rush branding iron die for our client Smith & Hawkins (an owned brand for certain large box chain retail stores) that needed a one day turnaround. Durable Technologies manufactured the dies and shipped them the same day so they would arrive on time." The steel hot stamp dies and branding iron dies are used to permanently mark the cedar wood for the garden planters and cedar grilling planks with brand marks and use instructions. 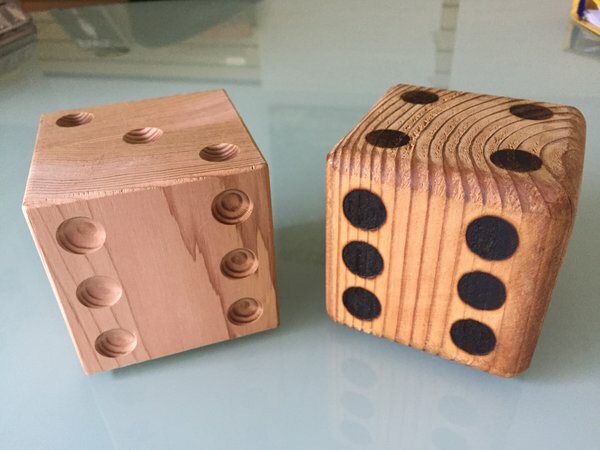 "We are developing other new product ideas, like the dice pictured below, that need branding and marking of text and numbers and we are comfortable that Durable Technologies will be able to help us figure out these manufacturing and marking challenges," states Mr. Dobi. Our wide variety of brass printers’ type styles will fit any need for monogramming or personalizing in such printers as Kingsley®, Kwikprint®, AAmstamp®, Kensol Franklin®, Jackson®, Gibson®, Howard® and virtually any other hot stamping machine. Typical applications include book bindings, personalization items, ribbons, greeting cards, napkins, matchbooks, labels, leather goods, advertising specialty items and more. Our high quality brass type and dies are a great value since it will far outlast cheap alloys such as zinc and lead type. We offer same day shipping on stock type (our News Gothic and News Gothic Condensed type styles.) We maintain the largest inventory in the country of all-purpose straight body type in both brass and steel used for a wide variety of hot stamping, coding and imprinting applications. Branding is a practical and economical way to permanently mark almost any material other than metal or glass. Wood is frequently branded to advertise a trademark, logo or manufacturer’s name or to “sign” or individualize a craftsman's work. Branding is also used to identify tools or equipment for personal or security purposes. 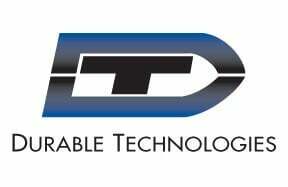 Contact the experts at Durable Technologies for all of your steel hot stamp dies and branding iron dies needs. This post was published on June 1, 2016 and updated on May 7, 2018.